We are an independent Estate Agency and Lettings Agency in Watford, located on The Parade. Selling your house or letting your home can be a stressful time, but here at Dey King & Haria our independent estate agents are here to help you achieve a quick and smooth sale. Our professional and friendly team are here for you whether you’re buying, selling, letting our renting property in Watford, Hertfordshire and North London. Our team of experienced estate agents have the experience needed to help you successfully navigate the local property market with ease. If you’re looking for an estate agency where you’re guaranteed an exceptional level of customer service and dedication to an easy sales or letting experience, Dey King & Haria are here for you. Whether you’re selling our letting your property, you can rely on the team at Dey King & Haria to market your property extensively, both on and offline. We’ll work with you to schedule viewing appointments and give you any tips and advice you want in order to make selling or letting even easier. We’re also here to help prospective buyers and tenants find a property for sale or property to let that meets your requirements, as well as helping you to navigate the sometimes complex process of buying or letting a house. We work with everyone, from young professionals looking for their first homes, large families and even older people looking to downsize. When you sell or let your home with the estate agents at Dey King & Haria, you can rest assured you’ll be well taken care of. 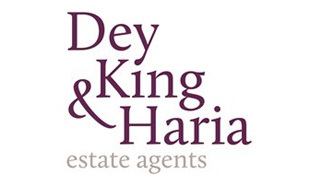 Why choose Dey King & Haria for your estate agents? Established in 2013, Dey King & Haria draw upon more than 30 years’ experience in the property industry, offering a customer-serviced based approach to estate agency. With a track record of achieving the asking price or above for 93% of sales during 2015 and more than 95% in 2016, you can rest assured that we constantly strive to exceed even the highest client expectations. As NAEA and ARLA accredited estate agents, we ensure we constantly evolve and adapt to the ever-changing British property market. We’re also the selected Relocation Agent Network member for Watford, chosen due to our unrivalled customer service when compared with other local estate agents. For more information about how the independent estate agents at Dey King & Haria can help you, give us a call on 01923 831 020 or send us a message today.